In addition to consulting services, TechKnowPartners also offers unified communications solutions through network telephony, hardware, and software products. TechKnowPartners provides routers, load balancers, internet security appliances, servers, workstations, and network telephony products through its relationship with various technology partners. 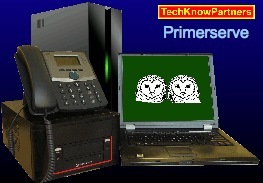 TechKnowPartners‘ Primerserve line of servers are intended for small user groups, whereas the Progreserve line are for enterprise use. 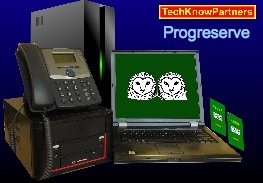 TechKnowPartners provides webhosting and related application software products, such as customer relationship management systems, content management systems, and other related software, to existing clients. TechKnowPartners maintains partner relationships with Crexendo, Dell, and Plantronics for Information Technology hardware and software.